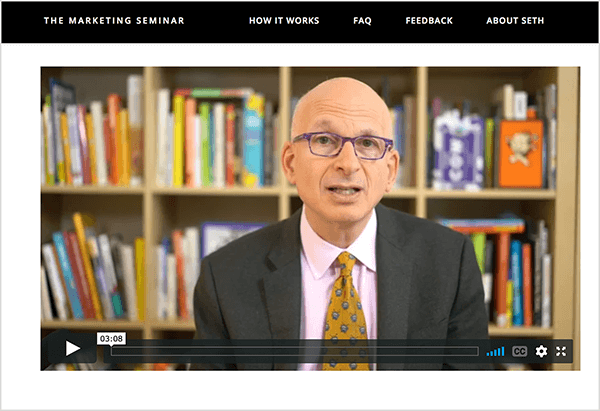 To explore what is and isn’t working for marketers today, I interview Seth Godin. In this episode, I interview Seth Godin, one of the great thinkers of our era. He’s a prolific blogger and the author of 18 books including Tribes, Permission Marketing, and Purple Cow. His podcast is called Akimbo. His latest book is This Is Marketing: You Can’t Be Seen Until You Learn to See. Seth explains why marketing messages should focus on improving people’s lives. You’ll also find examples of businesses that use empathy, trust, and tension to market their products. 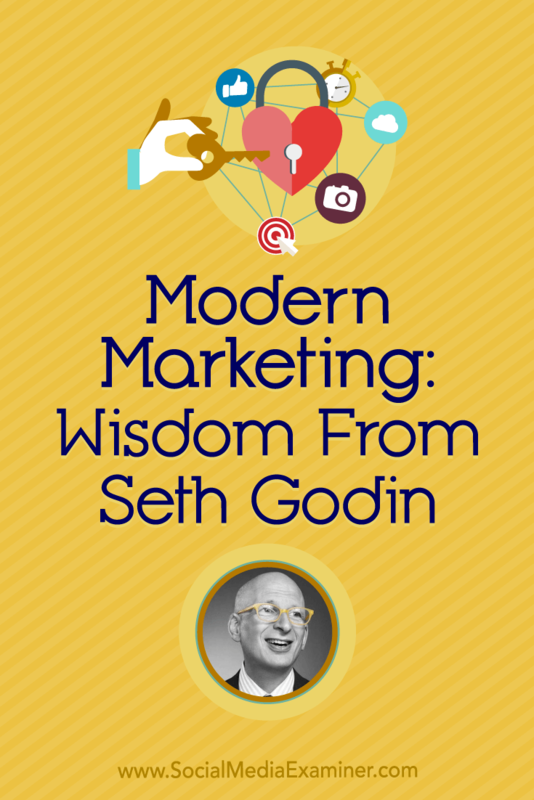 Modern Marketing: Wisdom From Seth Godin on the Social Media Marketing Podcast. 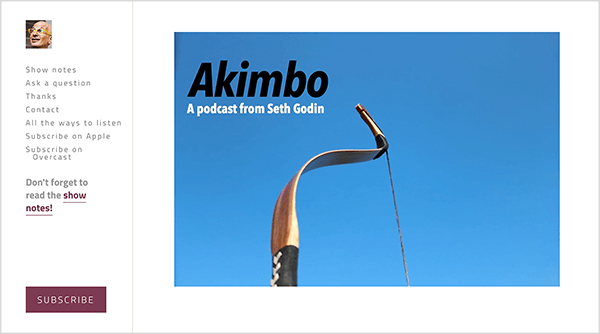 Seth’s podcast Akimbo is about bending the culture, or seeing the culture and how we change it. The name Akimbo comes from the word for a bend in the river and for bending your arms to show power, the way Wonder Woman stands on a building with her hands on her hips, looking down on the bad guys. When Seth named his podcast, he also wanted his podcast to start with the letter A because many podcast apps list podcasts in alphabetical order. You’re at a disadvantage if you call your podcast Zodiac Seven. Seth had an earlier podcast, Startup School, which was incredibly successful. However, he considers Akimbo to be his first real podcast because he created Startup School in 2 days as an artifact of an event he ran; he didn’t create it as a podcast. Seth has been hosting the Akimbo podcast for a little over a year and has released about 35 episodes at the time of this interview. Each episode is about 20 minutes, he has no guests, and he doesn’t read the ads. At the end, he answers questions that people send from all over the world. Because Seth shut down the comments on his blog, I ask how he likes interacting with his audience in the Q&A. He says answering the questions is fun. The key difference is that the questions aren’t comments and they aren’t anonymous. Before he started the segment, he was worried about screening 50 good questions. However, he doesn’t get many, and they’re all good questions. To prepare for each episode, Seth writes the show notes first. The notes are a list of topics and often include links to relevant articles and videos. Then he riffs based on the show notes. He records the episodes by himself in the shower at his office, which is covered in foam. The shift from writing by himself to talking by himself is fascinating. Seth believes his podcast is reaching the right people in the right way: drip by drip. He doesn’t spend any time or energy promoting the podcast. It’s there for people who want it. Listen to the show to hear how Seth started his podcast after planning it for 10 years. In the author’s note to This Is Marketing, Seth says, “It’s time to do something else with marketing to make things better.” I ask what about marketing today isn’t working that prompted him to write that. He responds by outlining two problems. First, some marketers are selfish, narcissistic, short-term spammers who think their behavior is fine as long as they don’t break the law. They call senior citizens at home to sell them worthless collectible coins. They try to hassle people, put them in a squeeze page, or get them to buy something they don’t want or need. As a result, marketing has a second problem: the people who might be willing and able to improve marketing are hesitant to call themselves marketers or do marketing because they think the only way to do it is to be one of those scammer-spammer people. In the book, Seth is addressing both groups of people. People don’t walk around saying all accountants or operations managers are bad. Similarly, most marketers aren’t bad. All marketers who are working to make things better are using the culture to reach people who want to be reached and offer them something they’re glad to find. Seth believes social media marketers are in trouble because social media attracts the scammer-spammer marketers. In the early days of Facebook, and before Twitter or Pinterest existed, he ran a social network called Squidoo. At the start, he was fully ready to embrace no censorship and let everyone be responsible for their own words. Within a week, the trolls showed up. From the experience at Squidoo, Seth learned that anonymity on social media creates a challenging environment for good marketers. You can defend the right of good people to stand behind their words, but if you also let anonymous pseudonyms do whatever they want, it’s a race to the bottom. Anonymity protects victims in certain situations. The rest of the time, it’s a huge problem. Scammer-spammer marketers measure only how much money they make today and see their identity online as disposable. This combination is a recipe for a cesspool. There’s no way around it. On social media, marketers who can call themselves whoever and whatever they want are anonymous. The Proctor & Gambles of the world behave well online because they have a lot at stake. But people selling the Flat Belly Diet, trolling competitors, and tricking people are drawn to social media. Their presence makes it increasingly difficult for good marketers to make an impact. Listen to the show to hear my thoughts about the relationship between marketing and algorithms. 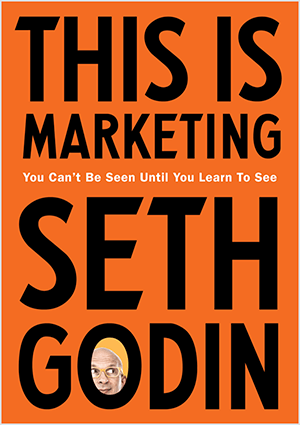 For his book This Is Marketing, Seth uses the subtitle You Can’t Be Seen Until You Learn to See. I ask what marketers need to learn to see. Seth says marketers need practical empathy, which means they don’t know, need, want, or believe what potential customers do and that’s okay. 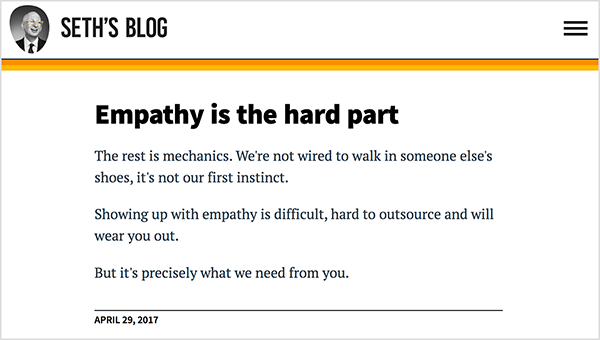 With practical empathy, marketers can go to someone where they are, listen to them, see them, and understand them before they say, “I made this.” Also, the product marketers offer is based on their observations and understanding about where those potential customers want to go. In other words, you need to market with people, not at them, so your potential customers want you to show up. Although Marketing Management by Philip Kotler was important in 1990, it’s not important now because it’s based on the false idea that advertising and marketing are the same thing. For 80 years, the big package goods companies could use advertising to say “buy my product” because the audience was captive and got about 3,000 marketing messages per day. Today, a person gets 30,000 marketing messages per day, and most marketers don’t spend money on advertising. In this environment, you need to ask if your audience would miss you if you hadn’t run an ad because your advertising is optional. If your audience isn’t willing to hear your message, you can’t teach them why they should switch to your product. You’ve got nothing. To illustrate this point, Seth mentions a Gillette ad he heard on a podcast. Gillette is trying to catch up to Dollar Shave Club, and the ad basically said, “You should subscribe to Gillette blades because we need you to.” In other words, subscribing to Gillette isn’t better for you; it’s better for them. That’s not marketing with and for people. That’s just yelling at them. On Seth’s podcast, Lenovo is one of the sponsors. I noticed the Lenovo ads that play at the start of Seth’s show and seem like a story about a businessperson but then say, “Stick around to hear the rest of the story.” When you hear the rest of the story in the middle of the podcast, you hear how Lenovo helped that businessperson. I ask if these ads are an example of marketing with people. Although Seth approves all of the ads in the podcast, he had nothing to do with creating the Lenovo ads, and he loves those ads. He has voluntarily listened to the end of the story because it makes him happy. Creating an ad that people want to hear again is exactly what he means by practical empathy. You need to create products and services that matter to people and tell true stories about those products that people want to hear. You can’t interrupt people and hold content hostage. Podcast listeners and YouTube viewers can fast-forward or skip the ads. People aren’t afraid to use those buttons. So if your audience wouldn’t miss your ads, you’re already gone. Listen to the show to hear more of Seth’s thoughts about marketing textbooks. In This Is Marketing, Chapter 10 focuses on trust and tension. 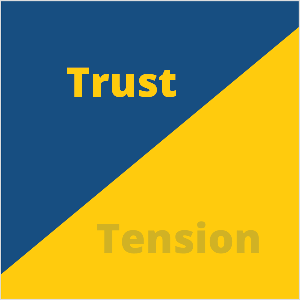 I ask what trust and tension mean to marketing. Seth says marketers do one thing: make change happen. And change requires trust and tension. When you reach out to potential customers, you’re making a promise. You need customers to listen to and trust that promise. Without trust, there’s no promise. If the customer does trust your promise, tension is created. They wonder what happens if the product doesn’t work or if they’ll become someone they don’t like. In the workplace, people will fear the boss won’t like the product. Before people buy anything or change anything, their heart rate goes up. They feel stress. Markers intentionally and willingly create this tension in the people they want to change, because when it’s over, marketers want customers to say thank you. For instance, Seth recently got a flu shot. Before he got the shot, he felt stressed. What if it hurts? What if there are side effects? What if it doesn’t work? But after the nurse gave him the flu shot, he said, “Thank you. I’m glad I got this flu shot.” That cycle is exactly what happens before we do anything that’s marketed to us. You can even create tension with a podcast. When a new episode comes out, your audience will wonder whether to skip it or listen. That decision creates tension because maybe someone doesn’t want to make the time commitment, but perhaps they’ll feel bad if they don’t listen and a colleague asks for their thoughts the next day. The tension can also be something significant like a going out of business sale or enrolling your child in private school. If the store closes tomorrow, you have to come to the sale today or miss it all. If the school has an enrollment deadline, you have to make a big decision before it’s too late. Too often, marketers try to make the tension go away because they feel like they’ll be fine if they can slide on by. To illustrate, the core of Proctor & Gamble’s business is no tension: customers will buy Tide every time their laundry detergent runs out because they don’t want the tension of picking a new laundry detergent. It’s easier to stick with Tide. Listen to the show to hear Seth’s story about calling a dedicated 800 number for Joy dishwashing detergent. With the understanding that marketing is more than advertising and the bazillion channels make being seen increasingly difficult, I ask what businesses seem to be doing marketing well these days. Seth shares examples of businesses whose marketing is working well, using his book This Is Marketing as a lens to explain why their tactics work. 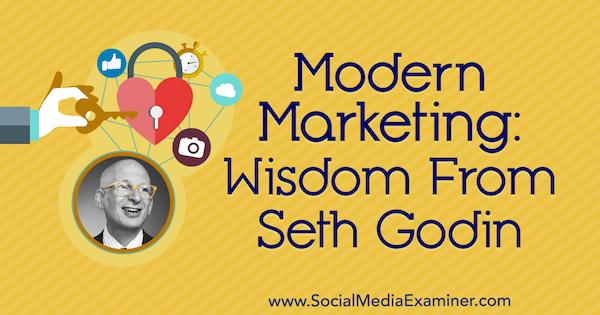 In all of Seth’s examples, he’s seeing a modern form of marketing that focuses on a very specific client. These businesses aren’t marketing average stuff for average people. Supreme: Supreme sells $3 t-shirts for $64 and has a line out of the door because it doesn’t really sell shirts; it sells status. If there were no line, their stuff wouldn’t be worth anything. The logo is a red box that says Supreme in a basic typeface. The shirts have no style or craftsmanship. The people who wear them are a tiny group of 17-year-olds who want Supreme because it’s hard to get. To get a Supreme item, you have to wait in line for hours at one of their few stores. If they sell out, you get nothing. Supreme changes its product line every week, makes less than they can sell, and opens for fewer hours than they should in order to create the line. By talking to the people in the line, Seth learned that most people in line sell what they bought within 20 minutes. According to Seth’s 17-year-old sources, Thursday is the day when going to the store is worthwhile because for the rest of the week you find only scraps. Also, because the people standing in line are flippers looking to make $30 per hour, the mystique has shifted from standing in the line to being too important for the line. Supreme is a status symbol without a diamond or luxury leather. In the book, Seth emphasizes that status isn’t the same as a status symbol. Status can include who eats lunch first, who sits at the head of the table, who talks first, and so on. On Instagram, people notice who has more followers without asking if their marketing is working. The follower numbers make people with fewer followers feel like they’re behind and thus create tension. 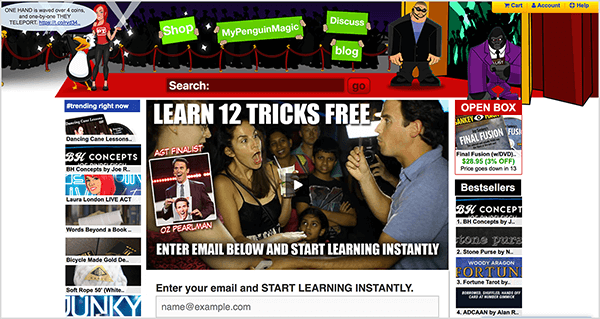 Penguin Magic: Penguin Magic sells millions of dollars worth of magic tricks online. The business is successful because it understands who its customers are and what they need. In other words, it understands deep empathy. Professional magicians have 20 tricks and don’t need any more tricks because they have a new audience every night. Amateur magicians need new tricks all the time because they have the same audience—their friends and family. On Penguin Magic’s website, you can see the trick being performed on video, and the only way to find out how it’s done is to buy it. Penguin Magic launches about 100 tricks per year and sells them to a tiny group of people who get joy from the interaction. Although customers might perform the trick, that’s not the point. The point is they’re part of a group of insiders who know how the trick is done. Penguin intentionally creates tension by showing a trick that seems impossible and offering a chance to see how it’s done. 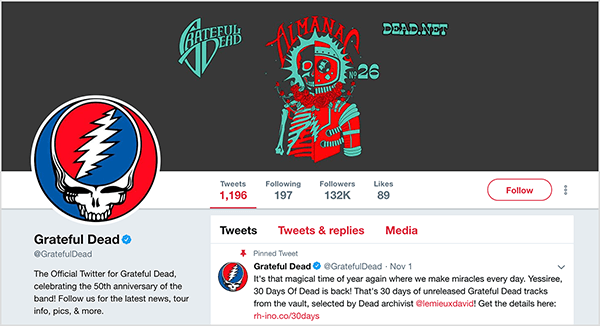 Grateful Dead: Seth’s last example goes back to 50 years ago, when the Grateful Dead was the number-one touring band in America even though the band had only one Top-40 hit for their entire career. The band wasn’t trying to make average music for average people. The fans, also called the family, would go to 20 or 30 shows per year. It’s another case of insiders versus outsiders. The Rolling Stones’ and Van Morrison’s fans didn’t live in buses and follow them around to 20 or 30 shows per year. Seth didn’t live in a bus either, but he’s been to Grateful Dead concerts and owns more than 200 albums. Although fans love the band for different reasons, Seth likes that the music is a different kind of jazz: heartfelt yet mathematical, a freewheeling interplay on the edge of creation. Each show was different and the same. You get to watch an improvisational performance happen before your very eyes. It was cool to see a band with the guts to try something new every night for 100 or 200 nights a year. Even though they sometimes failed, they got back on stage and created another new thing that never existed before right before your eyes. Other people followed the Grateful Dead and went to the concerts because the experience felt like the best possible Thanksgiving dinner with the people you cared about the most anytime you wanted to have it. Listen to the show to hear Seth discuss how he writes books by noticing stuff rather than detailed research. I ask Seth about why he decided to write This Is Marketing right now, and we discuss the difference between books and audiobooks, as well as writing versus other ways of sharing content such as podcasts and videos. Seth’s Book and Audiobook: Seth wrote This Is Marketing after leading The Marketing Seminar, an online intensive seminar that lasts for months and has had about 6,000 participants. After watching people interact with and improving his 50 video lessons, he wanted to share his knowledge with people who don’t want to pay $600 for the seminar or need a format that’s easy for them to share. A book is also something people can touch, hold, and put on a shelf. It stands for something. As marketers are leaving old ways behind, Seth wants people who want change and to make marketing better to talk about the book with their peers and their team. Together, the methods and concepts of the book are at the heart of how marketers are building and changing the culture. Seth also created the audio version of the book. To do so, he had to change his audiobook process and retrain his voice. An audiobook lasts about 6 or 8 hours, and he used to read the audio for a book in 1 day. However, your voice isn’t made to do that, and each time Seth did this, recovery became more difficult. For This Is Marketing, Seth read the audio in 20-minute sessions in his office studio (the shower covered in foam). He hoped to finish the audio in a month but completely lost his ability to speak. He was afraid he’d permanently damaged his larynx. However, he found a specialist who helped him retrain the way he uses his voice and how he breathes when he talks. After that, he finished the audio. Because Seth has experience in the book industry, I ask how audiobook consumption compares to print. Seth says audiobooks are on fire. The only reason they’re not more popular than they are is that podcasts cover many non-fiction topics for free. Listening and reading are also totally different experiences. Because the audiobook reader (instead of the listener) propels the book, audiobooks match the tone of our times. With a paper book, the reader might wonder if they got an email and put down the book to check. However, an audiobook feels like it’ll keep going without you so you let it drive. Seth also finds that he processes ideas in audio and print differently. When the author (or audiobook reader) drives the conversation, it can be thrilling sometimes, and other times, he needs the ability to review and highlight stuff, which you can’t do in an audiobook. From a bookseller’s perspective, audiobooks are a boon if you’re thinking of making content because people are willing to pay for them. Audiobooks are also a compelling product because there’s only one significant distributor and you don’t have to worry about physical goods. Blogging: Seth has been blogging every day for more than a decade. If you count the years his content was an email newsletter, he’s probably been blogging for 20 years. Seth encourages everyone to blog every day, put your name on your blog, and generously share it because it forces you to think of something worth reading. That cycle propels his work more than anything else. If Seth wrote only one book per year, he could go 3 months without thinking of a big idea. He loves showing up for his blog every day. However, Google is trying to kill blogs because they’re incompatible with Google’s business model. After building an RSS reader that put all of the other RSS readers out of business, Google shut it down. In Gmail, the Promotions filter shunts blog subscription emails aside so they don’t show up in the inbox. The reason is that Google can’t organize blogs or run ads on blogs in email. Google is happier if people bump into content that Google directs them to on demand. Although Seth doesn’t think Google’s actions are a grand conspiracy, he does think it’s a shame. When he discussed this point on his blog, bloggers who agreed responded with plenty of evidence that Google does nothing to make it more likely that people will find and subscribe to independent voices. The Benefits of Writing: For those who aren’t skilled at writing, I wonder whether creating short Instagram stories or otherwise expressing thoughts verbally is a similar kind of practice. Seth says learning to write isn’t a gift; it’s a skill. You have to practice. Most people wouldn’t let their child avoid writing because they can make video. Moreover, during his lifetime, Seth believes learning to write will continue to be the secret to unlocking value. Video and audio are difficult to scan or search (although artificial intelligence will improve that). With a written piece, whether it’s 200 words or 5,000, you can quickly decide whether you want to spend time on it. However, he won’t open a 9-minute video because he can’t scan it. 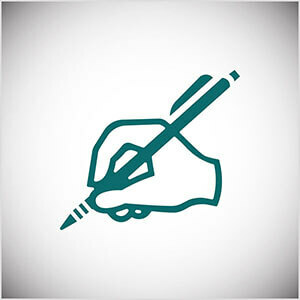 Writing also helps you uncover the value you have to offer. For most people, when you hold up a selfie stick and record a 3-minute video, you don’t activate the same part of the brain you use to write a piece someone will want to read 3 years from now. With an easy in, easy out audio or video recording, you don’t get the same benefits you do from writing. Snapshotting the world isn’t a bad thing. Snapshots of his godson make Seth happy. But you don’t create a life-changing essay with a snapshot. Listen to the show to hear more about the challenges Seth had to overcome to create his audiobook. With Dialog, you can stream a live audio show and save a recording of it without any special equipment. Dialog was designed for hosting live conversations using only your computer and this browser-based app. After you sign in with a Twitter account, you start a live audio stream. Only people you invite can join the conversation. Although listeners need a link to find your live audio outside of the Dialog website, you can publicize the show by sharing the link via your social media channels. Dialog can be a great tool for anyone who’s hesitant to appear on live video or looking for an easy way to try podcasting. If you want a recording of your show, you have the option to download it when the show is over. Otherwise, it disappears. 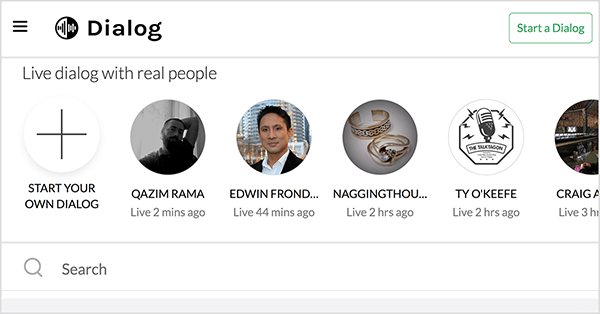 If you ever used Blab, which let people pop into live online conversations via video, Dialog works similarly. You can also think of Dialog as having a public conference call. Dialog is free and works via your web browser. Listen to the show to learn more and let us know how Dialog works for you. Visit Seth’s website, and check out the bonus videos, links to the book, and other extras. Read Seth’s latest book, This Is Marketing: You Can’t Be Seen Until You Learn to See. Check out Seth’s other books, including Tribes, Permission Marketing, and Purple Cow. Listen to Seth’s podcast, Akimbo. Learn more about Seth’s course, The Marketing Seminar, which starts again in January 2019. Listen to Seth’s earlier podcast, Startup School. Discover why Seth values reaching people drip by drip. Find out more about Marketing Management by Philip Kotler, a popular marketing textbook. 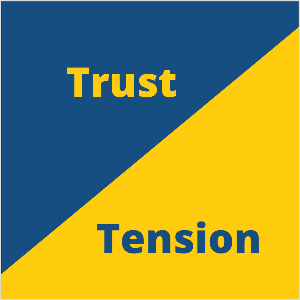 Read Seth’s blog post about creating tension in marketing. 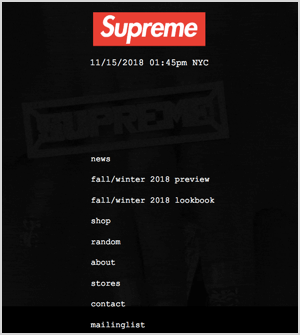 Discover more about Supreme and why it’s hard to get. Listen to Seth’s podcast episode about status. See how Penguin Magic creates tension with magic trick videos. Find out more about the Grateful Dead. Learn about the popular reader Google shut down and Seth’s thoughts about Google sending blog subscription emails to the Promotions tab. Live-stream an audio show with Dialog. What do you think? What are your thoughts on modern marketing? Please share your comments below.